Spring Sale! All of my books are $1/£1 each! To keep it short, I'll only include my most popular titles in this email. If you want to view all of the deals, please visit my Amazon's author pages below. Check out all of the deals below. Some of the deals on my older releases (from 2016) might end early, so please check the prices before purchasing! Lovesick is excluded because it released less than 2 weeks ago. Thank you for understanding, and thank you to everyone who read that book already. I've said it before, but I have to say it again: your support has been amazing! Please enjoy the sale! Hey! My latest book, Lovesick, is available today. You can buy the Kindle version for $2.99, read it through Kindle Unlimited, or buy a paperback for $12.99—and buying a paperback gets you a free Kindle copy! This is one of my grossest books to date, and you don't want to miss it! Check out the gorgeous/grotesque cover below, then click here to check it out on Amazon! Scattershot is available now on Audible! Scattershot, one of my most popular books of 2018, is available now on Audible! You can now listen to the Scattershot Slayer's most atrocious memories and horrific crimes. Enter the mind of a serial killer like never before! For US fans, click here! For UK fans, click here! Thank you so much for reading (and listening)! 10 books for $10—Dr. Sadist, City of Hunger, and more are $1 each! If you're not subscribed to my newsletter or my other social media, you probably missed this. Until December 19th, I am selling 10 of my best, most-read books for $0.99/£0.99 each. That's 10 books for 10 bucks, and I'm including some of my hottest new releases! Check out the deals below before the sale ends! These deals are only available on Amazon.com and Amazon.co.uk. Please check the price before purchasing! I hope you'll enjoy the sale! Thank you for everything! And, finally, happy holidays! Hey! Week 2 of my huge Halloween horror sale begins today! This week, from October 25th to October 31st, you can buy my latest books (released in 2018) for $0.99/£0.99 each on Amazon.com and Amazon.co.uk. Have you been itching to read Scattershot? Still haven't picked up Grandfather's House or The Good, the Bad, and The Sadistic? Well, now's your chance! City of Hunger isn't included in this sale because it just released. I hope you enjoyed that book, though. And Spit and Die is included, like I promised, because it couldn't fit the schedule for last week's sale. Anyway, thank you for supporting me over the past few years. I always appreciate you, your readership, and your messages. I really can't thank you enough. Hope you liked this massive sale, too! And, don't worry, we'll return to one email per month starting November! Check out all of the deals below. And please check the price before purchasing. These deals are only available on Amazon.com and Amazon.co.uk. Spit and Die will be on sale during Week 2 due to scheduling issues. Thank you for all of the support. I hope you find something to read if you haven't read it all already. And please enjoy the Halloween season! Writing Updates for August 2018—Out now, coming soon, and the future! Hey! It's been a very long time since my last update here. In fact, I've only posted two updates this year so far—and it's already August! So, I wanted to write something for those who don't follow me on Twitter and Facebook or don't follow the email newsletter. (Do it, you know you want to!) I'll make it quick, I swear! A Boy Possessed is out now! Do you like The Exorcist? 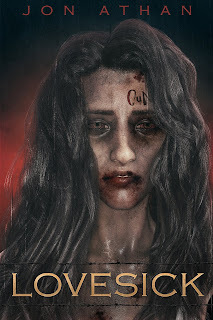 Are you a fan of my supernatural books, like Her Suffering and Madness at Madison Mall? If so, then I think you'll like this one. Scattershot is now available for pre-order, releasing on September 13th. (the day after my birthday *wink, wink*) If you've been waiting for my return to extreme horror, this is it. It's a very violent and disturbing book. If you're not into serial killers, I'll be releasing a new cannibal horror book titled City of Hunger on October 11th. Off the top of my head, you can think of it as Children of the Corn meets The Hills Have Eyes. This one is also very gruesome. In November, I should be releasing a book titled Dr. Sadist. This is another standalone book in my 'Snuff Network' series, which includes Mr. Snuff and Ms. Vengeance. You do not have to read the previous books in order to read this one, though. That's the great thing about standalones. Dr. Sadist will be my longest book to date. And, it will most likely be my most violent book ever. I'm not trying to hype it up, I'm just telling it how it is. The first six chapters alone are incredibly violent. Keep your eyes peeled for this one. In December, I might be taking a little break from the horror genre. I wrote a book earlier this year about a teacher who tries to find justice for a student who was attacked in a school bathroom. It has similar tones to my book The Law of Retaliation, but it's mostly a dark and disturbing mystery book. But, if you enjoy my books, I think you'll still like this one. It has some very violent surprise that I don't want you to miss and I just think it's a great story. Please give it a chance when it releases. I'm still undecided when it comes to 2019, although I already have a book written for next year. Part of me wants to experiment with new subgenres within extreme horror, part of me wants to continue writing some of the same old stuff ("if it ain't broken, yadda yadda..."), and part of me wants to write bigger, more daring books, meaning I would stick to the same formula but make the books more epic. Of course, if I went with the latter, that would probably mean I couldn't release a book every month next year. So, I have some decisions to make. Regardless, I think 2019 is going to be a good year. And I hope you've enjoyed my releases so far this year. Thanks for reading! I always appreciate it!